‘I am very excited that three artists of such extraordinary calibre are joining MTC to create one of the most dynamic artistic teams in the country. This is a great coup for MTC, and I and the entire MTC team are extremely fortunate to have the opportunity to work with Leticia, Sam and Chris in this way, as we collectively take the Company forward into the next stage of its long and illustrious life,’ Brett said. L-R: Sam Strong, Leticia Caceres, and Chris Mead. Sam Strong is one of Australia’s leading theatre directors and the current Artistic Director of the highly successful Griffin Theatre Company. His most recent critically acclaimed work includes Les Liaisons Dangereuses for Sydney Theatre Company and The Boys for Griffin and Sydney Festival. In his role as MTC Associate Artistic Director, Sam will be focusing on developing artistic opportunities and directing some main stage productions. Director Leticia Caceres has been lauded as one of the most exciting talents in the country, in particular as co-founder of the highly acclaimed, RealTV. She is the first female MTC Associate Director in eight years, and in August she will direct Helicopter as part of MTC’s 2012 Lawler Studio season. As our new Associate Director, Leticia will direct for the main stage, develop initiatives for MTC’s education programs, and investigate and enable creative opportunities, in particular for women directors. Chris Mead brings impeccable credentials as an advocate for new Australian work through his role as Artistic Director of PlayWriting Australia – Australia’s peak playwriting body – and previously as Literary Manager with Sydney Theatre Company and Company B Belvoir. As our new Literary Director, Chris will focus on developing and mentoring new stories and diverse voices onto our stages. 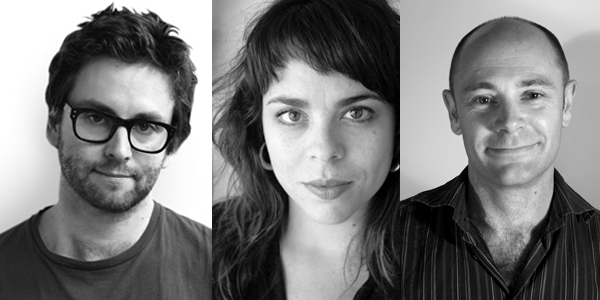 Brett says that these three appointments confirm and strengthen our ongoing commitment to fostering Australian writing and directors, by providing creative, directorial and literary leadership and development opportunities within the Company. ‘I look forward to the extraordinary contribution each will make to our activities in 2013, and to the program we will develop together for 2014,’ he said.